In the Kingdom of Ice by Hampton Sides is a page-turning tale of the 1879 voyage of the SS. Jeannette in the Arctic waters north of the Bering Strait where the crew searched for a sea passage to the North Pole. It puts you on the ship, in the frozen ice, and deep in the darkness of the Arctic winter during the years the voyagers were at sea. Sides shows the remarkable courage and thought that the exhibition commander and his crew demonstrated. I can’t imagine anyone not enjoying this adventure. Read the full review. 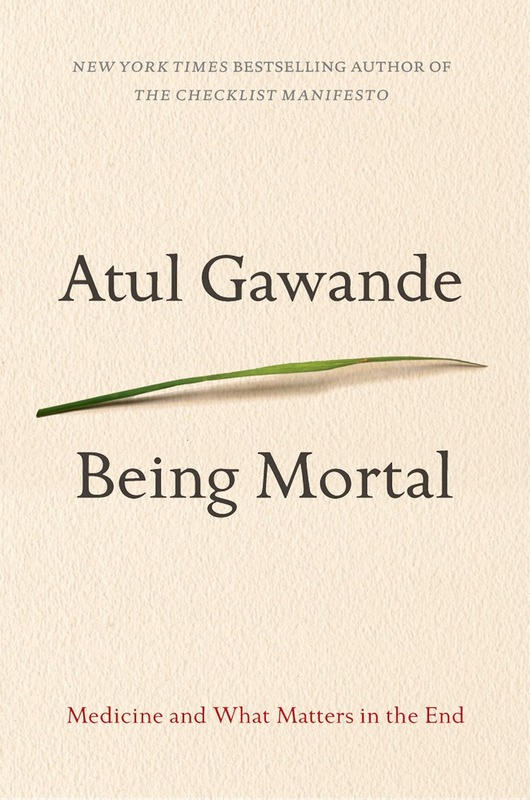 Being Mortal by Atun Gawande is a book everyone needs to read yet the stories Gawande tells make it engaging and filled with hope. This book will make you think honestly about medical choices and help you ask good questions about independence and what’s truly important to you or someone you love. Start by watching Gawande’s interview on The John Stewart Show or listen to his NPR interview with Diane Rehm. Listening to his story about his daughter’s piano teacher’s choices made me stop the car to grab a tissue then immediately rush to the nearest bookstore to buy the book. The research that people tend to live longer with palliative care than with many interventions will make you think and ask good questions. 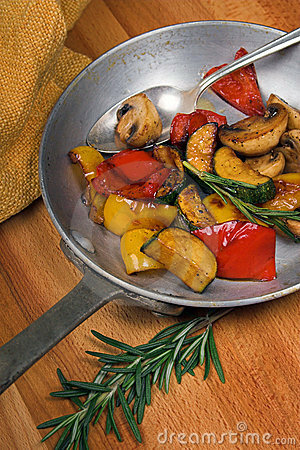 Promise yourself that you'll read this even if you have to make it a New Year's resolution. 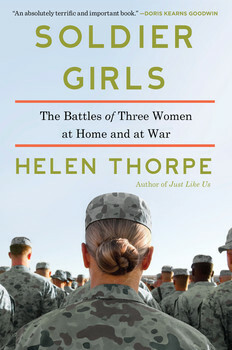 Soldier Girls: The Battles of Three Women at Home and at War by Helen Thorpe tells the compelling stories of three Indiana women joining the National Guard before 9/11 then of their unexpected service in Iraq. The upheaval in their lives and their adjustment after will cause you to ponder. This is a fine piece of reporting that reads like a great novel. Poverty and the increasing cost of higher education means that our military is changing. Seeing that through these three women’s lives brings it home to those of us who don’t think about what we ask of our troops. One slight quibble: I’m from Indiana so the inconsistent editing of Indiana details bothered me. Louisville, KY is NOT south of Evansville, IN, nor is the college in Bloomington called the University of Indiana (She gets it right twice, wrong once). I’m hoping future editions correct these minor errors that detract from this phenomenal book. 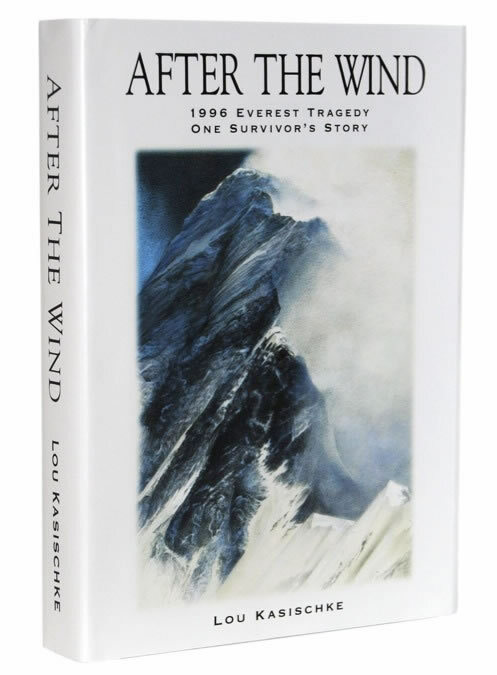 After the Wind by Lou Kasischke tells the story of what really happened on May 10, 1995 on Mount Everest. Learn why Kasischke survived when many others didn’t. I edited this book so I’m biased but even Kirkus Reviews named it one of the best of the year. Read the full review. Faith Unraveled by Rachel Held Evans (Originally titled: Evolving in Monkeytown in 2012, reissued in 2014) I love, love, love the preface in which Evans lists several things about herself. “People tell me I exaggerate. I’ve been hurt by Christians. As a Christian, I’ve been hurtful. I’m judgmental of people I think are judgmental. At twenty-seven, I almost always root for the underdog, and sometimes I get the feeling that God does too.” With that I fell down the rabbit hole and adored every minute of her journey. Read this book! Yes, Sue Monk Kidd’s The Invention of Wings is missing from my list and yes, it’s on many other “best of” lists but while I found the abolitionists in 1922 South Carolina and the story of Handful, the slave, to be compelling, I was less intrigued by Sarah Grimké’s tale. I liked each of the novels I’ve listed better. All the Light We Cannot See by Anthony Doeer is a book about the past that is certain to be read far into the future. This National Book Award Finalist blends the lives of two teenagers during World War II in a way that absolutely soars. Marie-Laure, a blind girl, lives in Paris with her father, a locksmith at the Natural History Museum. He builds her an intricate model of their neighborhood that she memorizes at home then confidently navigates Paris with her cane. They escape the German occupation in San-Malo, a walled French village, where her eccentric uncle won’t leave their house by the sea. At the same time brilliant German orphan Werner’s expertise with radio transmitters lands him in the Wehrmacht tracking illegal radio transmissions and he ends up in Russia and then in Sant-Malo. A sub plot involving a missing diamond brings in more intriguing characters. There’s old-fashioned magic in this book with its intricate puzzle boxes, thoughts of survival with dignity, and the power of the human spirit to endure. Euphoria by Lily King, Anthropologists Nell Stone (inspired by Margaret Mead), Stone’s husband Fen, and Englishman Bankston canoe up New Guinea’s Sepik River to record tribal culture. A 1930s love triangle sets this distinctive trio on their way to find euphoria. Reminiscent of Conrad’s Heart of Darkness and Patchett’s State of Wonder, this novel is entirely unique and will leave the reader unsettled, captivated, and in awe of King’s immense talent. 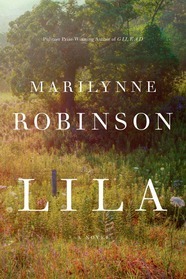 Lila by Marilynne Robinson, If you loved Gilead, read this prequel. It’s more essay and theology than it is narrative yet Lila and her early life and the world of 1920s and 1930s poverty as seen through the lives of Midwestern migrant workers are beautifully rendered and the love that builds between Lila and Rev. Ames is almost mystical. A National Book Award finalist, it’s on many “Best Book” lists. Lucky Us by Amy Bloom is a quirky, witty, beautiful novel that opens with “My father’s wife died. My mother said we should drive down to his place and see what might be in it for us.” Then 11-year-old Eva’s mother abandons her on her Dad’s doorstep where she meets her half-sister Iris. The girls go to California where Iris is in movies until a scandal forces their move to NYC in a Thelma and Louise-style road trip. Capturing the prejudices and pulse of the 1939–1948 period, it shows that family is more than genetics. Read my full review. Usually I choose one, or at most, two debut novels as the best of the year but the debut fiction category for 2014 is exceptionally strong and it deserves a list of its own. I love debut fiction as it almost always shows the heart and soul of an author. Sometimes in first novels the author’s ebullience comes at the expense of polished prose but not this year. Redeployment by Phil Klay won the National Book Award and Everything I Never Told You by Celeste Ng was Amazon’s Best Book of the Year Choice. Both are also on my short list along with five other terrific tales. Redeployment by Philip Klay is a smorgasbord of hurt delivered with a one-two punch. Klay’s vivid debut delivers interconnected short stories that punctuate the Iraqi landscape with the lives of those attempting to serve. Chaplains, soldiers, Foreign Service flunkies, and more deliver searing tales Klay’s pen is a scalpel that cuts through the horror to deliver an eloquent portrait of a unique war. Every member of Congress and those in the Cabinet need to read this year’s National Book Award winner. Shotgun Lovesongs by Nickolas Butler delivers the reader into the lives of four men in their thirties that grew up together in Little Wing, a small Wisconsin town. Hank stayed to farm his family’s land and rear his children with his wife Beth. The others left: one to Chicago to trade commodities and make money, one to take risks riding in rodeos, and one to become a famous rock star. Shotgun not only captures their lives and the truth and beauty of life in the Midwest (yet it’s NOT a regional novel), it’s also funny, passionate and real. Some of the people I care most about in this world are in their thirties and from the Midwest and this novel is them. Still Shotgun is more; it’s a novel with minor characters and their own powerful stories. The tale of Harvey Bunyan, an old farmer that Kip, the broker, met at a gas station, reads like a fine Cheever short story and it miraculously appears just when we need to know more about who Kip is. The writing chops that make something like Harvey’s story work with Kip’s are why Butler is a writer to watch and Shotgun Lovesongs is a book you must read. We Are Called to Rise by Laura McBride tells the hope-filled story of Bashkim, an 8-year-old Albanian boy; Luis, a soldier injured in Iraq; and two women who try to help in the face of tragic mistakes. This wonder of a novel is set in a Las Vegas no one knows. Only a gifted writer could make poverty, war, and prejudice this engaging and positive. McBride says, “I wanted to tell a story that might make a reader have a big feeling, the sense that no matter how cruel life could be in a given moment, no matter how terrible the consequences of a tiny mistake, it was ultimately beautiful to live. I didn’t set out to write a book about war or poverty or racism, I just wanted the reader to love a child enough to feel devastated when that child’s heart was broken and euphoric when that child got a chance at hope.” Debut author McBride accomplished her goal. This year my heart has bled because of what’s happened in Ferguson, MO and other towns across America and every time I try to think what we could do to make things better, my mind goes back to We Are Called to Rise and people who work to improve lives. If ever there were a year when we simply need to read about a child getting a chance at hope this year is it. Read the full review. 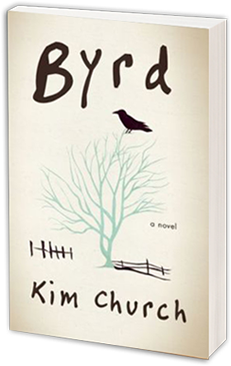 Byrd by Kim Church, As Addie writes letters to the baby she gave up for adoption she slowly reveals herself and her story. Byrd is her name for the boy who she’s let soar into a good life without her. This superb debut novel quietly builds toward Addie’s becoming herself. It’s a wonder! Read the full review. Everything I Never Told You by Celeste Ng opens with: “Lydia is dead. But they don’t know this yet.” When teenaged Lydia can’t be found, the lack of communication in her Chinese-American family shows that things left unsaid can damage. By exploring what it means to be an outsider, this tense, page-turning debut novel makes you read slowly to get every morsel. This is the book I’d give to intelligent teens who feel that they don’t fit. 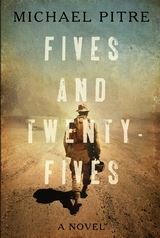 Fives and Twenty-Fives by Michael Pitre embeds the reader into a group of Marines in Iraq charged with identifying, disabling, and filling mined potholes. They also must recognize and cope with the danger and despair of a war that has made cavities inside each of them and what that means when they get home. This tough read is insanely beautiful. I wanted to personally rescue the young Iraqi interpreter who reads Huck Finn to calm himself. 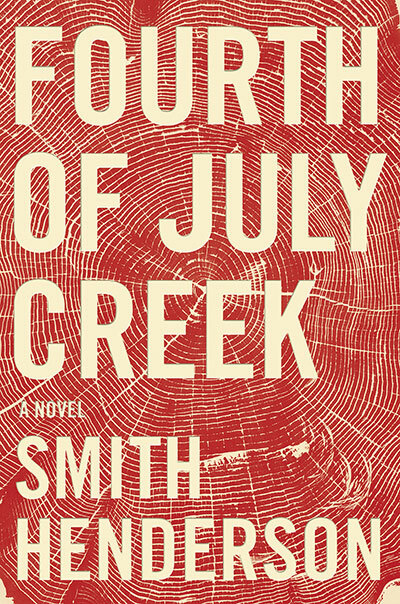 Fourth of July Creek by Smith Henderson is as gourmet as a book can be. The writing is so smooth it reads like lobster dipped in melted butter. It’s a brutally shattering tale of families that go off track without knowing they’re slipping. Pete Snow is a rural Montana social worker whose own family is a mess. When he meets mountain man Jeremiah Pearl through Pearl’s son Benjamin who has scurvy and giardia, he hopes to gain Pearl’s trust but trust is a rare commodity in this strange country. A brilliant debut! Read the full review. 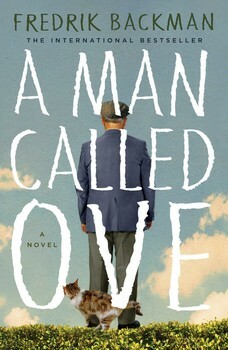 A Man Called Ove by Fredrick Backman, Ove, a grumpy Swedish curmudgeon, annoyingly tells everyone the right way to do things, won’t allow what he considers unseemly behavior in his terrace, and wants to be left alone. Ove’s backstory reveals itself as he’s forced to interact with his neighbors, the mail carrier, and a cat. I’m madly in love with Ove. If you loved Major Pettigrew’s Last Stand, you’re in for a treat.